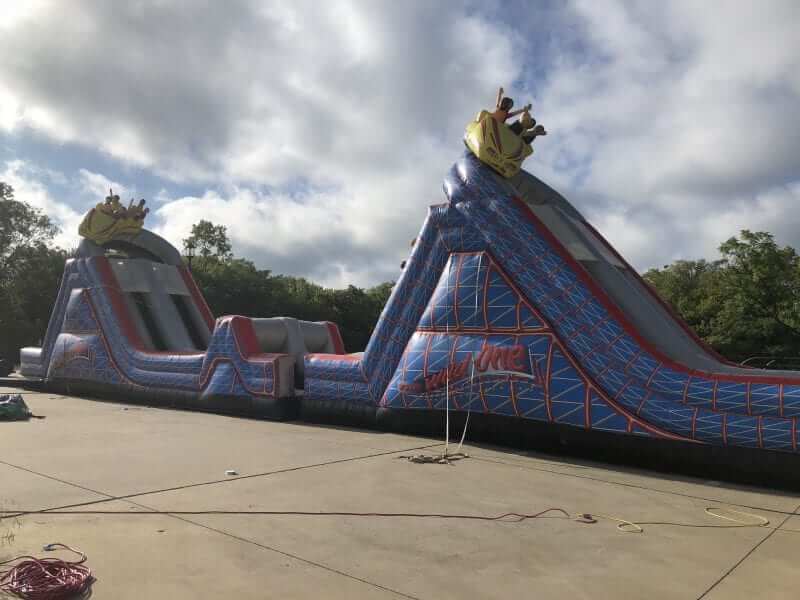 The Wild One giant obstacle course is a winner when thinking considering Dallas Inflatable Rentals and can be set up in multiple configurations. 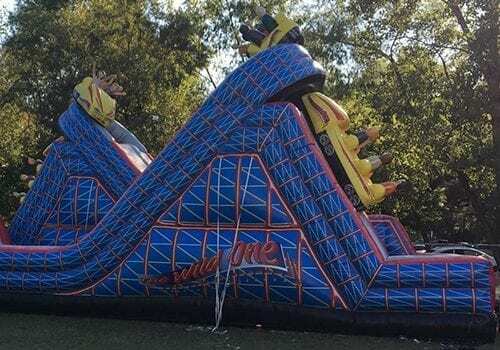 This festival size inflatable can be arranged as an dual extra large slide with obstacles. The Wild One can also be a dual extra large slide or single large slide with obstacle. Our just a single giant slide. Any configuration makes this item super fun. The cars are for decoration so no moving parts making this inflatable obstacle course is safe for participants. 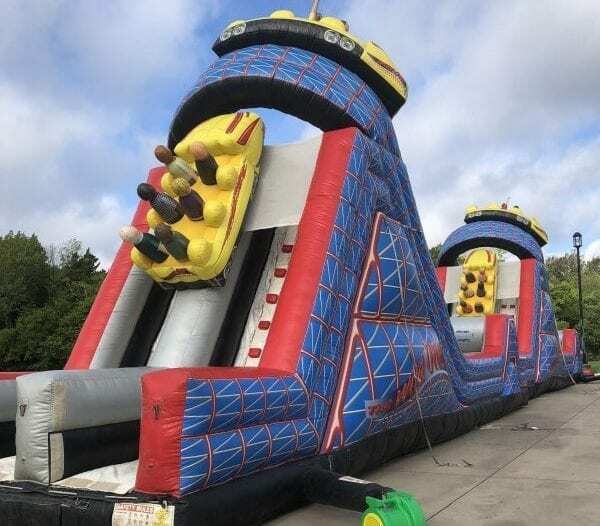 The Wild One is a giant inflatable typically utilized at large party event rentals, church festival and any environment where extra fun is key. 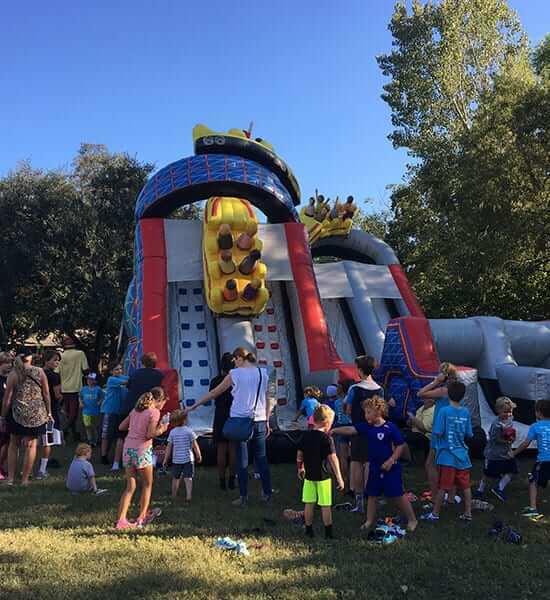 This inflatable can be configures as an extra big obstacle course, a climb and slide or a dual climb and slide. Our latest and greatest obstacle challenge mirrors the excitement of a real roller coaster. Experience the twisting turns, climbing the mountains and zipping down the other side. This ride is a SCREAM! The WILD ONE has two rock climbs, two slides and a great obstacle run.